BFSI (Banking, Financial Services, and Insurance) as a sector is a very broad sector encompassing Lending, Payments, Insurance, Stocks, Derivates, etc. This is a sector that has a lot of legacies and a rich history from the Renaissance Era. This is also one of the most innovative sectors that have witnessed massive disruption across sectors affected by new-age entrants as well as large institutions which carry decades of legacy behind them proudly. FinTech is ‘THE’ buzzword across the globe, disrupting the legacy BFSI sectors in both consumer-facing verticals of business as well as enterprise business firms. From Digital Lending to Payments to Seamless Trading to Digital Insurance, Technology is the common denominator across the sector. FinTech and the surrounding ecosystem has disrupted the sector in the last 3 years what took the BFSI sector 3 centuries to truly reflect ‘Digital’ in its DNA. 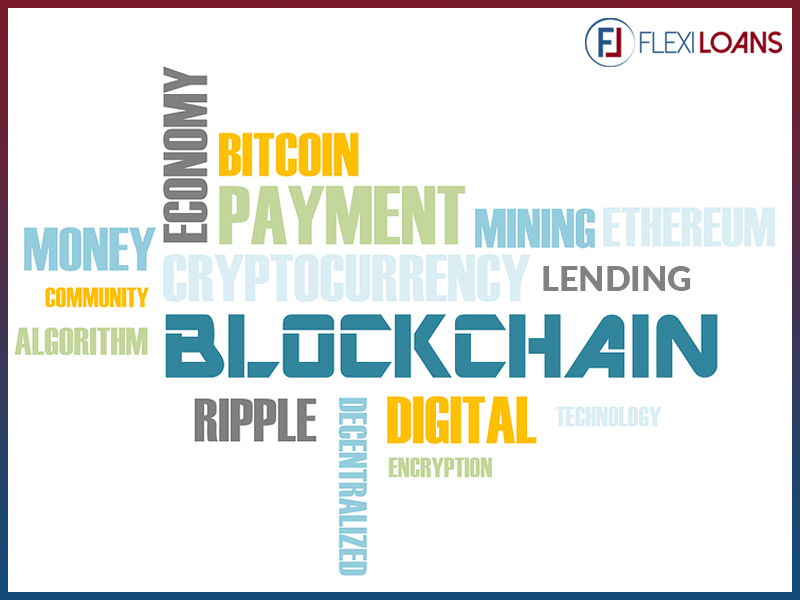 The blockchain is one of the most promising and rapidly growing technology with a strong focus on the BFSI sector. Blockchain has come to the fore in the last couple of years, even though conceptualized 2 decades back by Stuart Haber and W. Scott Stornetta in 1991. But it truly began to emerge as a powerhouse when Satoshi Nakamoto, the famed developer of cryptocurrency Bitcoin in 2008. Blockchain was the underlying framework on which Bitcoin and subsequently, all cryptocurrencies have been built. The last couple of years have seen Bitcoin and its peers Ethereum, Litecoin, and Ripple overshadow Blockchain as multiple developer groups sought to introduce new features to solve a gamut of problem statements across the world. Blockchain was fundamentally conceptualized as an immutable distributed public ledger framework that is built by adding ‘blocks’ to a common unified thread – the ‘chain’. Once added, a transaction cannot be altered retrospectively, thus creating a framework where the participants have the comfort of data integrity as well as a public view of data available as long as a ‘key’ is held, with each transaction having a unique identifier called the ‘hash’. As a framework, Blockchain has been extensively used to develop custom platforms by communities like Ethereum which have migrated to the ERC-20 standard for a variety of reasons. This is largely due to the fact that Blockchain is an open source framework on which any developer can start developing products. Blockchain and its relatives have now become mainstream frameworks and one of their primary uses lie in the FinTech sector. By default, Blockchain supports APIs for receiving Payments as well as transactions allowing developers to rapidly develop applications. In addition, Blockchain allows organizations to host and manage their own private chains as well as semi-centralized chains managed by a consortium of organizations. Ethereum and Ripple, both tokens built on Blockchain are now piloting smart contracts and payments related products with leading Financial Institutions like Mastercard, Visa, ING, BBVA, JP Morgan, American Express, etc. as well as a host of technology firms like Intel, Microsoft, etc. which have moved to develop a massive Tech stack over and above the Blockchain stack. Many of these are part of the Enterprise Ethereum Alliance, a consortium looking to standardize Enterprise Ethereum. Lending is an industry where a very diverse set of problems have been identified that are ripe to be solved by Blockchain. This includes a public decentralized ledger for a monitoring payment, disbursals, fraud databases, etc. aka real-time transactions to minimize probable misrepresentation of data. Smart contracts powered by ERC-20 standard are now being piloted to replace the classic legal agreements and repayments, thus setting in stone a transparent and an immutable record of repayments. Many organizations are also working on digitizing land titles and other collaterals and centralizing this for public use as secured lenders seek to mitigate risk across the value chain. Settlements and Escrow transactions across the supply chain are already in advanced stage of development on the ERC-20 and similar protocols like EOS. Keeping this in mind, as a true FinTech, FlexiLoans set out to explore a host of opportunities across themes like decentralized transactions, transaction settlement, semi-public data sharing and contracts. The objective of the Hackathon was to nurture and bring to the fore the power of Blockchain in the context of BFSI, with an emphasis on Digital Lending and Capital Markets. The Hackathon was jointly organized by FlexiLoans in association with NSE and SEBI and hosted at FlexiLoan’s corporate office. FlexiLoans hosted SEBI Chairperson, Shri Ajay Tyagi as well as NSE CEO Mr. Vikram Limaye in an endeavor to impress on a wider audience that Blockchain is very much a practical solution. Each of the problem statements posed to the participants was developed keeping in mind practical challenges FlexiLoans as an organization faced. One of the most common challenges faced by many a lender is to recognize the fair value of an asset and to ensure it’s not collateralized by a borrower resulting in considerable exposure to multiple lenders. Equally challenging is to ascertain the true value of assets held by a borrower across liquid and illiquid assets like Land, Gold, Securities, etc. This is where the immutable property of Blockchain in conjunction with its consent based model and controlled privacy helps lenders have a birds’ eye view of a borrower’s timeline. Not only can this lead to lower instances of over-leveraging of assets by borrowers but also help tech-savvy lenders take intelligent decision on-the-go. Lending is a business where repayment pattern can be a boon or a bane. Every lender wants to know at a granular level the repayment track record as well as the history of the tradelines opened by a customer. While this is already to an extent catered to by Credit Bureaus, it is an extension of the traditional bureau where immutability and real-time updates as a transaction on the chain could result in a lender getting information at a repayment level by the borrower. Each block could be comprised of a number of borrowers and each of their repayment or actions by lenders resulting in immutable transactions on the chain. Accurate repayment at a granular level will result in improved credit underwriting outcomes, especially in channels where risk is higher. Time is of the essence when it comes to a settlement from a creditor to a debtor or transaction settlement like payment of dues, etc. This will result in a supply chain where lenders who work with multiple partners as part of supply chain financing, as well as channel financing, get a true picture of the transaction process. Each transaction processed by an entity – a credit or a debit could be a transaction in a semi-public or a private block, thus resulting in improved information sharing and thus allow lenders to adjust their exposure to borrowers who are on the higher risk matrix. This is in addition to transaction level data sharing model among multiple players who can come together to harness Blockchain’s decentralized model for improved credit decisioning. Keeping such a host of probable scenarios in mind, from a Lending as well as a Capital Markets perspective, the participants set out to challenge the status quo after a briefing from the eminent panelists. Some of the teams that stood out from the crowd developed ERC-20 based tokenization models for the liquidation of assets as syndication of loans. Also proposed was a real-time invoicing platform where details are available on a semi-private Blockchain for consumption of concerned parties. On the infrastructure side, we had participants developing solutions to make platforms much more robust, scalable as optimizing the processing time for a transaction, driving home the point of time-sensitivity. All said and done, the true Champion of the event was Blockchain itself as a lot of interesting ideas and brainstorming by participants will eventually result in a lot of new developments over and above what Blockchain currently offers and in the process, drive adoption of Blockchain-based solutions by the mainstream market. The blockchain is here to stay, thrive and transform businesses for the better in the coming few years! It’s baby steps for Blockchain as it ventures into mainstream businesses through pilots by organizations like FlexiLoans as well as larger peers and cross-industry players. Watch this space for a lot more exciting updates.